Words like WOW, HOW THE…, AMAZING, FREAKY and MAGICAL can be heard describing Gary as he performs rope tricks, card tricks, coin tricks and paper money tricks using sleight of hand. 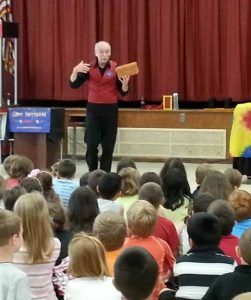 A fun filled 30 minute performance is filled with magic for all ages. This show makes your birthday child a Star! Please ask about adding balloon animals or glitter tattoos to your show package. 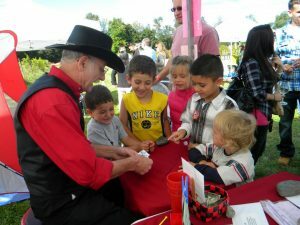 Magic tricks for goody bags are also available for an additional charge. From making a handkerchief disappear and reappear to producing a picnic lunch, this fun filled FAMILY show is sure to please! These shows can fit a multitude of performance spaces from libraries to auditoriums.